Transform MRW to PDF page layout files online in a few seconds! 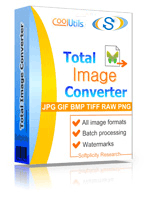 Run a MRW to PDF Online Converter here or take a batch App for more! Description MRW is among the scores, if not hundreds, of known types of RAW photographs, and it is used by Konika Minolta cams. Like all RAW photos, MRWs are too big-sized for sharing online and they take up a lot of disk space. Besides, finding a viewer for such objects can be a challenge. The metadata is taken right from the lens and acts as construction material for the future image. Actually, a MRW file is analogous to a negative, since it is not valuable as an image, yet bears all elements that make a good photograph. MRWs are low-compatibility files and they are usually saved in more compact formats.